Sometimes life calls for a rental car. And no, we are not talking about going on a vacation. We are talking about the unfortunate situation where your car is damaged in an accident. While your car is in the shop, you need something to get around in. In many cases, the auto insurance policy will provide you with some type of coverage. Coverage is usually limited to a certain monetary number per day for a certain period of time. These details will depend solely on the type of auto insurance coverage that you have. Your auto insurance company is the first place you should check to understand what kind of rental coverage you have. Be sure to reach out to your insurance company directly to clarify the exact details of your coverage. This will help you understand how you can move forward with rental car company. If you do not have rental car reimbursement, get a breakdown of the different plans that are available versus the cost that will be added to your auto insurance payments (this is helpful in case you need a vehicle in the future due to an accident). Make sure you understand the types of coverage, such as weather-related accidents, collisions, vandalism, etc. The addition of rental car reimbursement can usually be added for a fairly low extra cost. If you don’t have a reliable back-up vehicle, it is highly recommended that you add this type of coverage. Without this coverage, you could be looking at hundreds of dollars in car rental fees if your vehicle gets stuck in the repair shop for days, or even weeks. Once you figure out the details of your coverage underneath your insurance company, it’s time to arrange the payments. Assuming you have car rental coverage, your best bet is to work with a car rental company that is partnered with your insurance company (you can often look these up through the insurance company’s website). However, be careful to choose a car and a plan that fits within the parameters of your plan. Once you do this, the car rental company will bill the insurance company directly. Not a penny comes out of your pocket. If you have a specific car rental company that you want to use that isn’t partnered with your insurance company, this is still an option. This process is a little bit more of a headache, but it can be done. Check in with your insurance company to let them know of the car rental company that you have chosen. You will likely need to pay for everything up front. Once you provide a receipt to your insurance company, they will reimburse you for the proper amount that matches the details of your plan. What if you don’t have rental reimbursement options? At the end of the day, you just may be in a situation where you don’t have any rental reimbursement options attached to your auto insurance plan. Don’t stress out. If you are located in the state of Oregon, this is where a personal injury attorney like Dwyer Williams Cherkoss Attorneys can step in to help you out. Since Oregon is considered a “fault” state, you may be able to get the driver of the other car to cover your rental expenses through their auto insurance provider. Again, this is where you will need a personal injury lawyer to help you out. For this process to occur, you need to prove that the other driver was negligent in the accident, therefore causing the damages that put your car in the repair shop. In many cases, you can file a claim directly with the other driver’s insurance company. 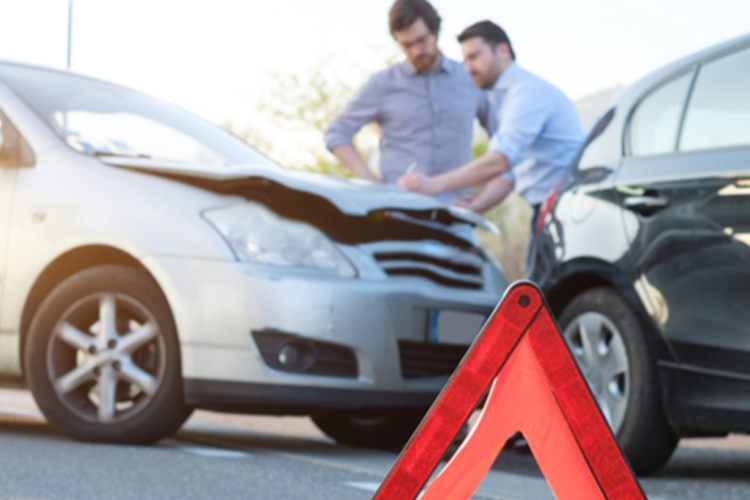 If you find yourself in a situation where you will be in need of a rental car due to an accident here in the state of Oregon, contact us today at Dwyer Williams Cherkoss Accident Injury Attorneys for a free case evaluation. Our team of experienced personal injury attorneys will make sure that you get compensated fairly for your rental car needs.